County Westmeath’s quality landscape and rich natural heritage are vital assets that help the county compete as a tourism destination. Awareness and appreciation of the distinctive and unique nature of the lakes habitats, flora and fauna is the first step in promoting the potential of the Westmeath’s lakes. The lakes in Westmeath which are most important for nature conservation are Lough Derravaragh, Lough Ennell, Lough Lene, and Lough Owel, Lough Ree and Lough Sheever/Slevins Lough / Lough Drin lake complex. Each of Westmeath’s lakes has special features of interest in relation to the natural environment and biodiversity. 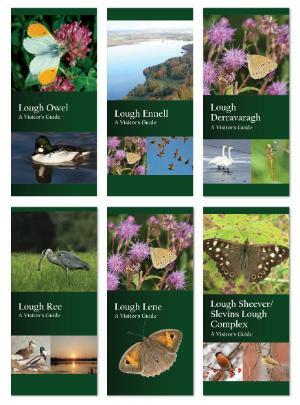 Westmeath County Councils has prepared information leaflets on each of the below lakes to highlight their unique habitats, flora and fauna. This project is part of ongoing implementation of actions under the County Westmeath Biodiversity Plan, which was approved by the Council in 2015. These information leaflets give an in depth guide to the natural heritage and biodiversity of the principal lakes within Westmeath. These leaflets are available in libraries within the county.